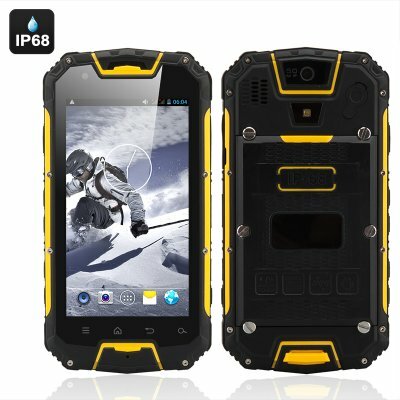 Successfully Added 4.5 Inch Rugged Smartphone 'Apex' - 3G, IP68 Waterproof + Dust Proof Rating, Shockproof, GPS, Dual Core CPU (Yellow) to your Shopping Cart. 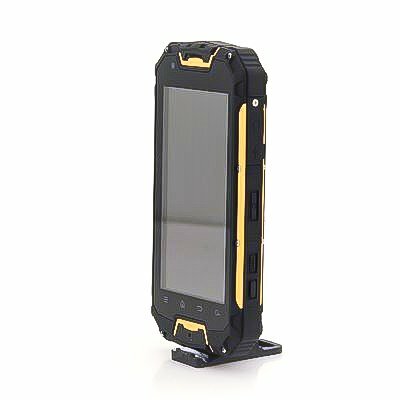 The ‘Apex’ 4.5 inch rugged phone is one tough beast with an IP68 waterproof rating, a dual core processor and a large 3000mAh battery. Loaded with features the ‘Apex’ rugged phone can be taken with you virtually anywhere. The tough rubberized outer provides ample protection against drops, knocks as well as giving it a reassuring IP68 rating so you know it’s protected from dust and water alike, making this device a true survivor. It has a dual core 1.3 GHz processor and runs Android 4.2, which gives you the freedom to fully customize the layout and appearance. With Google Play store installed you have plenty of apps to choose from and the Dual SIM slots and 3G capabilities means this phone supports a large number of bands so it helps you get a signal in a wide range of locations. This allows you to explore of the beaten path yet still keep in touch or download maps and weather information for your latest adventure. The phone has a large 3000mAh battery which provides enough power for almost a week of standby power. There is a built in SOS mechanism that can be used to dial a preset emergency number at the touch of a button. The security clip accessories lets you securely attach the phone to you pack or belt so whether you're skiing, climbing or kayaking your phone can come along for the ride and the built-in 5MP camera can be use to get some true action shots for posterity.